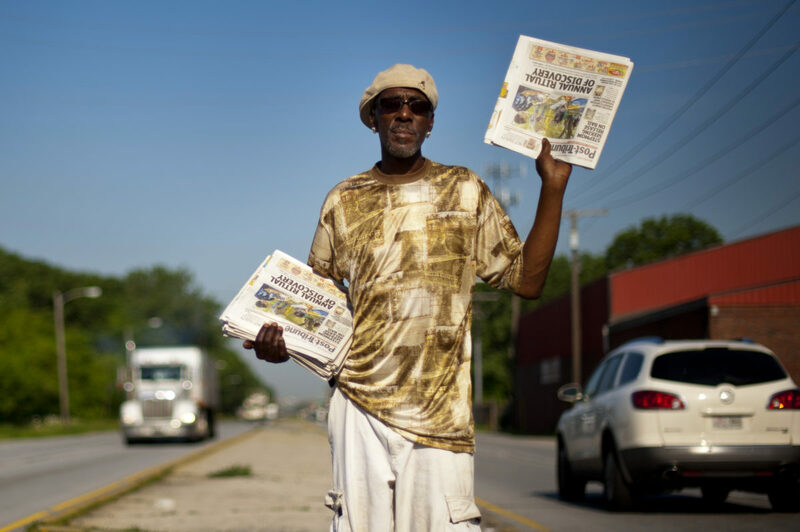 Tyrone sells newspapers in the morning from the median of Route 20 on the western edge of Gary, Indiana. U.S. Route 20 is an east–west highway stretching from New England to the Pacific Northwest, It is the longest road in the United States, spanning 3,365 miles. Please contact the photographer to license this image.